Manila, Philippines September 21, 2017. 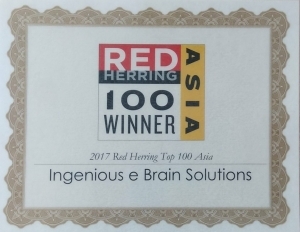 Among 3000+ companies that participated in the Red Herring Top 100 Asia Award, Ingenious e-Brain derives immense pleasure in accepting the Top 100 Asia – 2017 award. 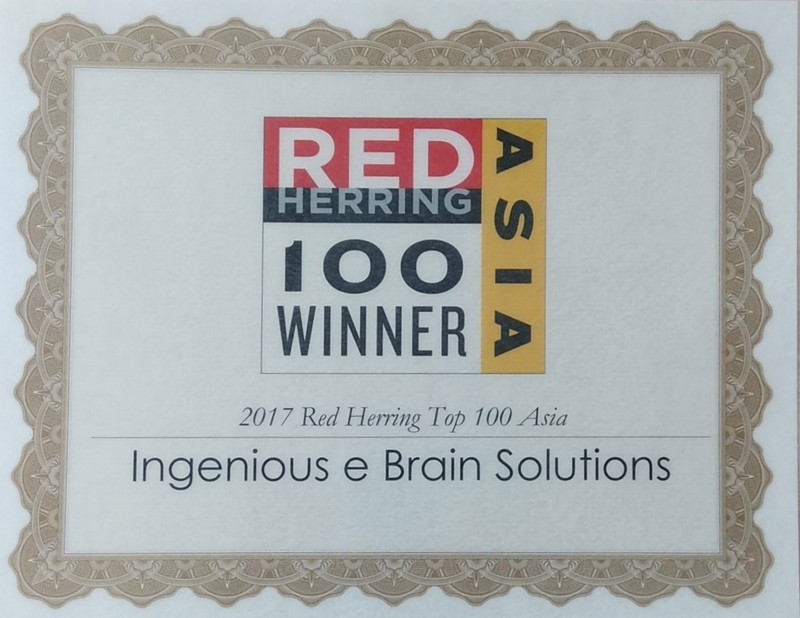 Ingenious e-Brain was invited to present its strategy at the Red Herring Asia Forum where the Top 100 winners were revealed in a special award ceremony. 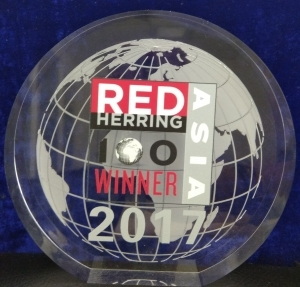 The Red Herring Top 100 Asia award highlights the most exciting startups from Asia. 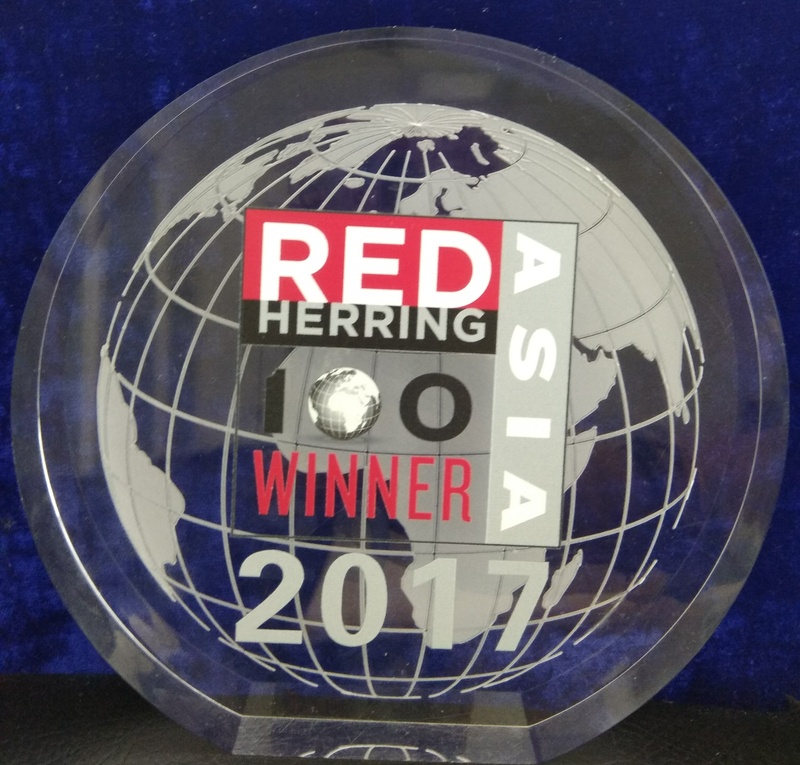 Red Herring’s editorial team analyzes hundreds of cutting-edge companies and technologies to select those who are positioned to grow at an explosive rate. Ingenious e-Brain Solutions provides high-quality, customized and cost-effective Intellectual Property Research, Business Research and Market Research solutions to industry leaders, law firms and innovative companies across the globe. Innovation, knowledge and transparency form the basis of our company’s mission and vision. We place tremendous value on foolproof confidentiality and security of our clients’ data. We are an ISO certified company with offices in India and USA.